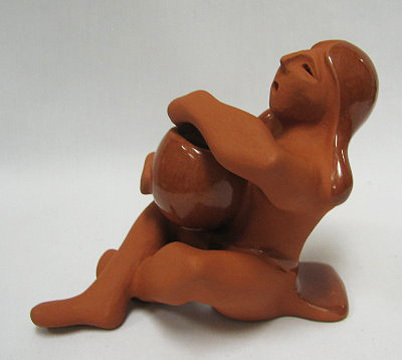 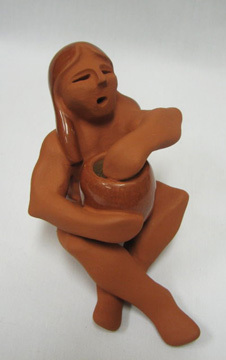 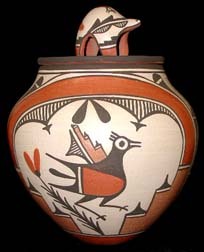 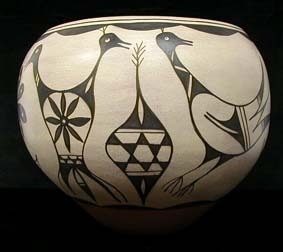 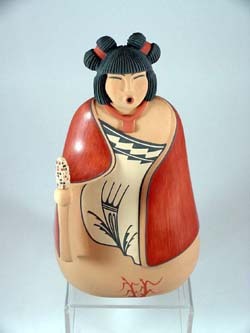 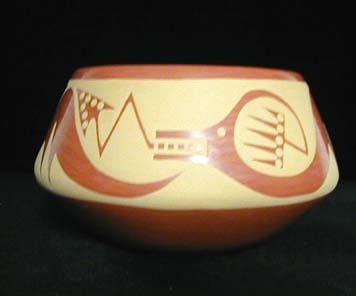 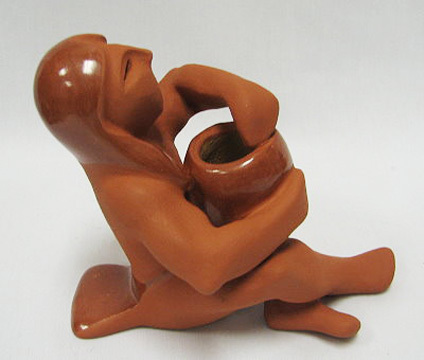 Gary Gutierrez, Santa Clara Pueblo, is the son of Dorothy and Paul Gutierrez who has won a number of awards at the prestigious Santa Fe Indian Market for his burnished and highly polished Pueblo figures. 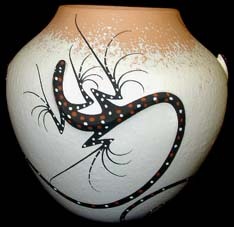 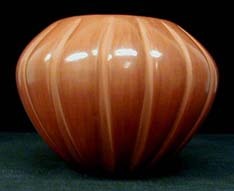 The potter shown here is an example of Gary's inimitable artistry. 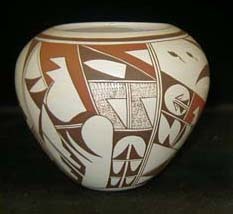 The piece measures 4.5 inches tall by 4.5 inches deep by 3.5 inches wide , is free of defects of any kind and is signed by Gary.